We’re all busy and what’s literally one of the most important things at the end of the day? Dinner. Which is where Chicory comes in. You find the recipes you want to make. Chicory not only automatically generates a shopping list: the app also instantly finds the best prices and the perfect products, and work directly with online grocers to deliver all the ingredients you need. Not to mention any other groceries and various and sundries you may need as well, from paper towels to seltzer water. Now we’re cooking! Co-founder Yuni Sameshima is here to dish the details. Tell us about the decision to apply for ER Accelerator. As recent graduates and young entrepreneurs, we applied to ERA mostly for the mentorship. We were looking for strategic advice in regards to dealing with major publishers, as well as scaling to be a national company. Chicory connects recipe websites with online grocery. We turn the amazing recipe content available across the Internet into a point of sale so users can easily cook the recipes that they crave. Our shopping cart aggregates, organizes, and optimizes shopping lists to give consumers the best products at the best prices for whatever they’re making. Unlike meal kits, we don’t handle grocery or delivery logistics and we don’t create any recipe content in-house. This gives us two major advantages. First, it lets us focus on creating a great user experience for discovering the best recipes from across the web and the recipes that consumers already want to cook (we’ve learned that many cooks have their go-to recipe sites and blogs and want to cook those). Second, it lets us offer the ingredients to those thousands recipes and any other groceries (for online ordering, since our warehouses belong to existing online grocers who have inventories with tens of thousands of products) cooks might need. 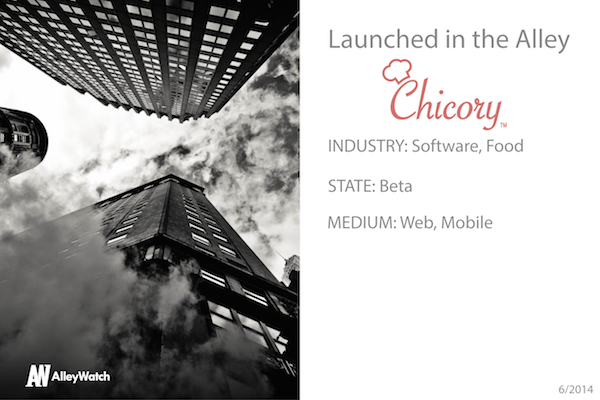 We’ve built Chicory to make it easier for home cooks to create amazing meal and to make the decision to start buying their groceries online a fun, enjoyable, and engaging process rather than an often confusing hunt for yucky, grainy pictures of individual products. We are connecting two large markets: the online recipe space and the online grocery space. The large recipe sites get tens of millions of unique visitors a month, and there is a growing long tail of recipe content online as food bloggers gain prominence and their sites become profitable through advertising. Online grocery is growing at about 14% year over year. Last year it was a $7 billion industry. There is a lot of potential here for expansion, as recent studies by Deloitte and others have indicated that consumer demand is outstripping the grocery industry’s ability to offer great online experiences and services for shopping. We make money by receiving a commission from the online grocer, in addition to having a native, point of sale advertising system for brands and consumer packaged goods. In the next 6 months, we are going to be launched in five large metropolitan areas, and cover both east and west coasts. Additionally, we will allow users to discover and cook recipes from hundreds of individual bloggers and at least one large recipe site. Rachael Ray – because she has amazing recipes and has clout in the food space. We’re so excited that New York has become a center for technology and entrepreneurship within the past few years. There is a different vibe here on the west coast. We see a much tighter knit community here with a lot of support. 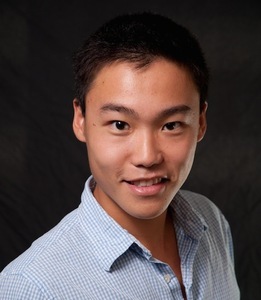 How will being in NYC help your startup? NYC is going to be the Wild West for online grocery over the next couple of years. Everyone is coming here to compete over the massive potential of the packed NYC metro area. Fresh Direct is the tried and true online grocer with a ton of loyal customers but Peapod, Amazon Fresh, Google Shopping Express, and Instacart are all here now or coming later this year. It’s an exciting time to be in NYC for our industry. What’s your favorite main course? Baked quail with lemon and oregano. Previous Why Do We Still Have Train Engineers?